It’s been another busy year for the volunteers of MAG Ireland so as we head towards our Christmas break we wanted to take this opportunity to wish all of our members, supporters and friends a very Happy Christmas and a peaceful & prosperous new year. 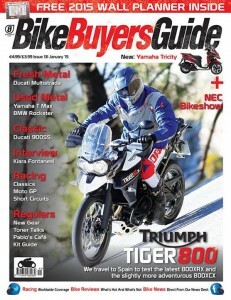 If you’re looking for some quality reading material over the break, the annual issue of Bike Buyers Guide is in shops now and in it we take a look at our contributions over the last year or so of publication. Separately, our review of 2014 will appear here on the MAG Ireland site on or about 28th December so keep an eye out for that one. The December 2014 issue of RoadRunner will go out as usual towards the end of the month. If you’re not already subscribed have a look at https://www.magireland.org/roadrunner where you’ll find previous issues and details of how to get RoadRunner for free. The MAG Ireland volunteers will be signing off on Friday 19th December at 1pm and we’ll be back at our virtual desks on Monday 5th January 2015. Anyone joining or renewing over the Christmas break will have their memberships processed on 5th January. Finally, whatever you’re doing and wherever you’re going this Christmas, ride safe and we look forward to seeing you in 2015! Happy Christmas from all of us in MAG Ireland.